Summer is just around the corner! 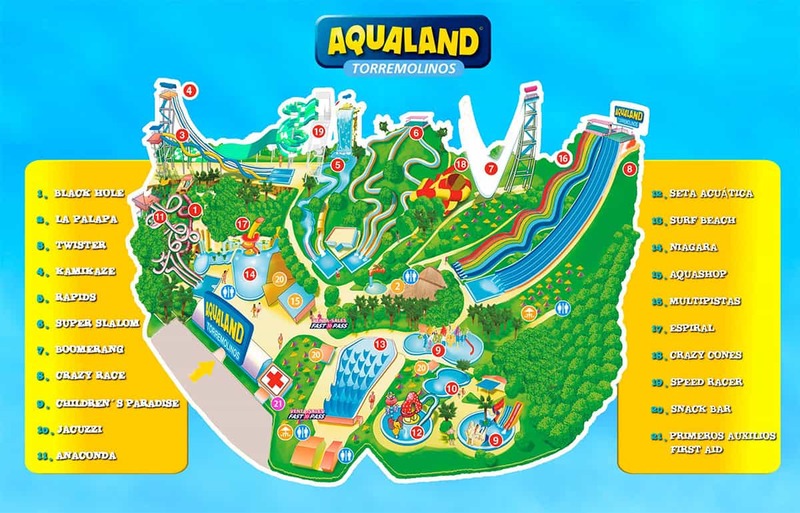 The fans of water parks can now enjoy a new season of games and slides at the water park Aqualand in Torremolinos which has two new facilities for adults and an area designed for children with various water games. The largest water park on the Costa del Sol offers more than 30 slides (of which 19 are for adults and 15 for children) in an area of 70,000 m2. In addition the more daring can try the highest slide in Europe called Kamikaze and many other attractions. Kamikaze: Do you ddare to try the highest slide in Europe? Boomerang: 15 metre half pipe for two people. Rapids: One of the popular attractions, there is always a big queue for this attraction simulating a river. Black Hole: 12 metre slide ending on a pool. 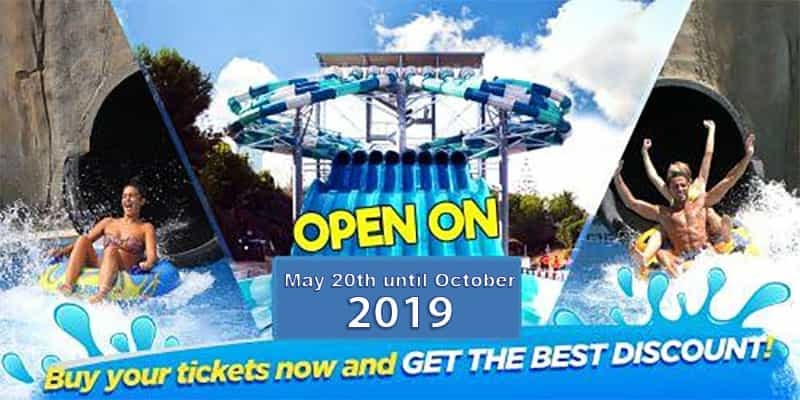 Aqualand Torremolinos is open from May 20th to October 7th. Opening hours are 11 am to 6 pm in May, June, September and October. 11 am to 7 pm in July and August. There is a discount when paying for the ticket online. Travel agencies and some restaurants also use to offer a discount voucher for Aqualand in summer. Fast Pass: For avoiding the most popular attractions queues you can pay a plus. In past years there was a special opening for welcoming the summer called Sun Coast Festival in Aqualand Torremolinos. The event used to take place before the opening of the park and the price range was 24€ for the basic entrance, 34€ for vip ticket and 220€ for vip reservation. The event moved to the bullring in Torremolinos during May, but there is still no date for this year. Public Buses: Bus from Malaga, Benalmadena Costa, Arroyo de la Miel, Carihuela and Playamar. Suburban train: From Malaga and Fuengirola, stopping at Torremolinos or Montemar. Find how to get from Malaga to Torremolinos in our website. Address and reviews: Calle Cuba, nº 10, 29620 Torremolinos. Hi, I’m trying to find out the exact date Aqualand closes in October 2018. Please could you forward this information to me. I have contacted them and they close in October 7th.